Trigger warning: less than fulsome praise for the recently-deceased contained below. It’s not I’m not saddened by Tom’s passing, and the suddenness of it. Cardiac arrest days after concluding a wildly successful world tour is admittedly a totally rock and roll way to go for a guy who had a Springsteen-esque belief in the mystic power of rock and roll (Tom’s may have predated Bruce’s) but it is still cardiac arrest and 66 is way too young. He had two wives, three kids, bandmates he managed to stay close to for over 40 years, plus more rabid fans than I’d have anticipated. He deserved a reposeful old age producing records for less-successful artists he admired and overseeing a box set and coffee table book. I offer my condolences and join those family, fans, and bandmates all in a full-throated singalong to the chorus of “Free Falling” in tribute and appreciation. My problem is that I never liked “Free Falling” very much, nor really anything Tom did after “Damn the Torpedoes” except “The Waiting” (which was supposed to be on “Damn the Torpedos” anyway). I heard the songs on the radio, sometimes they were fun (“Stop Dragging My Heart Around”) and sometimes annoying (“Don’t Come Around Here Anymore”) but mostly they landed on me with a shrug, okay, here’s another Tom Petty song that sounds like a lot of others (“Learning to Fly,” “Great Wide Open,” etc.) I bought “Wildflowers” based on early reviews, listened to it a few times through, shrugged, and ended up giving it away to Morgan Memorial during the music purge phase of my last move. “Damn the Torpedoes” though: so many college evenings with it playing in the background! So many drunken singalongs to it with my high school friends during the summer of 1980! Ah, okay, side two trails off a little but the snarl of “Refugee”! The marble-mouthed-verse-ecstatic-release-chorus of “Here Comes My Girl”! The dumb fun bounce of “Don’t Do Me Like That” and (a personal favorite) the guy in “Even the Losers” trying to restore his pride after a shattering break-up, howling words to an empty street he wishes he was saying to his absent lover! When you fall so hard for something, and then the artist (in your mind) never lives up to it again: there’s a disappointment there. Clearly not Tom’s fault, as shown by those rabid fans mentioned above, for whom the newer stuff must have connected in a way it didn’t with me. 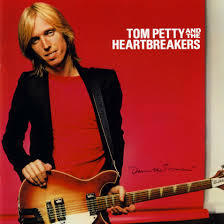 Still love Tom for “Damn the Torpedoes,” and will still feel sad the next time (next 200 times) “Free Falling” comes on the radio. Even when the material was weak the guy knew how to make it sound great on the radio. Track down if you can a live concert on Wolfgang’s Vault of Tom and the Heartbreakers playing the Paradise in Boston in Fall of 1979, just before “Torpedoes’ was released. Magic.